Home » Artiklar/Nyheter » Ska steroider legaliseras? I live in Mexico where steroids are legal. Guess what. Mexico doesn’t have a steroid problem. In fact, the issue doesn’t even raise an eyebrow. Anyone, including a 15 year-old soccer player, can walk into a pharmacy, go right up to the counter, ask for preloaded ready-jects of Sustanon 250 and Deca, pay his 500-some-odd pesos and walk out, just as if he’d purchased pink sugar cookies and a bottle of Gatorade. No problem. And, oddly, the news reports in Mexico are barren of anyone dying from steroids. No teens are committing suicide. Sports are not rife with cheaters and allegations of malfeasance. Parent groups aren’t up in arms demanding legislation. There’s nobody testifying in front of congress blaming juiced professional athletes for their son’s alleged steroid-induced suicide (more on that character in a minute). And, apart from the ravages of alcohol abuse, livers and kidneys are intact and functioning. Murders are not being pinned on juice. The lives of the precious youth is unharmed. Contrast this with America, a country just a porous line in the sand away from Mexico, where steroids are an illegal, Schedule III drug, and where congressmen have declared a “national public health crisis” because livers are rotting, kidneys are failing, cancer is rampant, teens are hanging themselves, and otherwise normal people go into psychotic episodes that end in madness, mayhem, murder and death. Sports stars are falling in disgrace, the great American pastime’s record books are littered with asterisks, and the children, our precious pioneers of tomorrow, are in imminent and grave peril. Interesting contrast. The American media has actually given steroids cognitive powers. On one hand, they’re reported to be a miracle cure for muscle-wasting diseases, hypogonadism, and burn victims. They prolong the quality of life for AIDS patients, they combat aging, build muscle, burn fat, and increase performance both on the playing field and in the bedroom. But on another hand, they’re the scourge of the modern era, wreaking havoc among our teens and the sporting elite, causing illness, psychotic episodes, cancer and death. And, in Mexico, they deliver all the benefits listed above, but are otherwise relatively innocuous substances, devoid of the ravages purported in America. What the media decided to tell us allowed the US government to perpetrate perhaps one of the greatest abuses of judicial power ever recorded. And the government took the hormones our own bodies produce, labeled them with a skull and crossbones, and made outlaws of those who possess, use, import, and sell them. You may be thinking, steroids are illegal because they’re dangerous! Really? Compared to what? Swallow a bottle of Tylenol and see what happens. Swallow a bottle of Vitamin C and see what happens. Drink three gallons of water in a single sitting and see what happens. Inject an entire 10 cc bottle of testosterone and you know what’ll happen? You might get a headache. MIGHT. Inject an entire bottle of testosterone every day for a week and you know what will happen? You’ll probably add 15 pounds to your bench, your bad cholesterol might go up a little, and you’ll probably hold a little water. Continue this insane dosing for a month, and your bench might go up 50 pounds, your testes will stop producing endogenous testosterone and atrophy slightly, and you might get some acne on your shoulders and back. MIGHT. Stop taking testosterone and you know what happens? In time, everything goes back to normal – with or without a PCT (post-cycle therapy). You can’t say that after weeks of benders on full bottles of Tylenol and Vitamin C. The acetaminophen will probably have permanently damaged your liver or even killed you, and the vitamin C will have burned a hole in your stomach. But steroids are illegal and Tylenol and vitamin C can be purchased over the counter – masked as gummy bears no less! In spite of that reality, 25 years ago the “Anabolic Steroids Control Act of 1990” was signed into law by President George H. W. Bush, adding anabolic steroids to Schedule III of the DEA’s list of controlled substances. Scheduling a drug means categorizing it based upon its risks, thus making it an illegal controlled substance. A Schedule I drug is the most dangerous and Schedule V is the least. Subsequently, in 2004, the law was amended to add prohormones and other “steroid like” compounds to the category, thus criminalizing anything that even remotely resembles testosterone, its derivatives, or its effects. Later, the US Sentencing Commission reconvened to raise steroid penalties to the shameful degree that today, in America – not North Korea – it’s entirely possible to be sentenced to 30 years in prison and fined up to $5,000,000 for the possession and distribution (or importation) of testosterone. That’s not a misstatement of fact. While sentences rarely hit the top of the guidelines, the aforementioned is indeed the top. Staggering isn’t it? A substance, one which occurs naturally in our bodies, carries the same legal classification as amphetamines, methamphetamines, opiates, and morphine, despite the fact that, unlike the other drugs mentioned, steroids elicit absolutely no discernible mind-altering euphoric affects or impairment. Twenty-five years after the fact, this conundrum begs the question: Should steroids be legal? The short answer is yes. Here’s why. Years ago a future vice-president named Joe Biden and his crony Dan Lungren bulldozed their steroid control act through Congress, usurping almost every single qualification to schedule a drug. I’ve detailed this process before but the first reason steroids should be legal is that they were criminalized ILLEGALLY in the first place, for reasons that don’t make any sense. The state of current scientific knowledge regarding the drug. Its history or current pattern of abuse. Whether the substance is an immediate precursor of a substance already controlled under this title. After evaluating these eight factors, the Secretary of the DHHS must make a scheduling recommendation based on the substance’s relative potential for abuse, its accepted medical use, and its capacity for producing physical and psychological dependence. Then, before proceeding to control a drug under this process, the Attorney General also must request from the Secretary of the DHHS a scientific and medical evaluation of the drug and make a recommendation as to whether the drug should be controlled and scheduled. But congress heard testimonies from experts from the American Medical Association, the Drug Enforcement Agency as well as numerous outside experts including professors, doctors, clinicians, and scientists, all of whom recommended AGAINST scheduling steroids. Did you get that? The Secretary of the DHHS’s word is binding, unless of course Joe Biden is driving the bulldozer. When all was said and done, based on testimony from members of the DEA, AMA, and the recommendations of the most knowledgeable experts, the Secretary of the DHHS recommended to the Attorney General that steroids should NOT be scheduled. But none of that mattered. Congress changed the classification of anabolic steroids to a Schedule III controlled substance. How? Because Biden and Lungren had a shill in the game named Kenneth Kashin, who was an assistant professor of psychiatry at Yale. He spoke the words the politicians wanted him to say. Dr. Kashin testified that “steroid use can cause an addiction with similarities to alcohol, opiate, and cocaine addiction.” (Weird, alcohol is legal.) He also talked about “dangerous criminal-like behavior while intoxicated on anabolic steroids” and individuals who have “lost control of their behavior,” or “became violent.” Basically a page from the script of Reefer Madness. Based on his bogus testimony, and his alone, Biden and Lungren were able cast aside all the other experts’ testimonies, literally hundreds of pages of Congressional transcript, and usurp the law of the land rendering the recommendation of the Secretary of the DHHS null and void. They broke the law to push forward their political agenda. Imagine that. What was their agenda? It basically had to do with pressure by the sports lobby to stifle the flow of black market steroids to athletes and to preserve the fairytale of the “even playing field” after several years of reports of PED use in college and Olympic sports. The pressure really built in the wake of the 1988 summer Olympics, when Canadian Ben Johnson, who streaked down the 100 in an inhuman 9.76 seconds, took the gold medal away from America’s darling Carl Lewis, and then got busted for cheating by testing positive for Winstrol. Now the politicians’ solution had the problem it needed and pushed the Steroid Control Act through Congress. However, after two and a-half decades on the books, the law has proved to be an abysmal failure. What happened was that thousands of otherwise law-abiding Americans – not athletes, but mature adult males – have been arrested, arraigned, prosecuted, convicted, forfeited property, lost their jobs and their licenses, and sentenced to prison for the personal use of anabolic steroids. Virtually none of them have been Olympic athletes or other pro athletes. They’re not cheating in sports; they’re not even playing sports. But they’re the ones being dragged through the system by a law that was never intended for them. The health risks of steroids have been grossly distorted through the unholy alliance between the vocal alarmists with agendas who incite hysteria based on fiction, the media who reports it, and the vote-hungry lawmakers in Washington who believe they can do something about it. Take the case of pro wrestler Chris Benoit, who strangled his wife and seven year-old son in 2007 and then hung himself from a lat pulldown machine in his home gym. In addition to the empty beer and wine bottles strewn under his body, toxicology tests showed high levels of alcohol, Xanax, and hydrocodone in his system, along with slightly elevated testosterone cypionate due to the replacement dose he was taking that was prescribed by his doctor. (The alcohol, Xanax and hydrocodone were not prescribed.) Benoit was also suspected of having a traumatic brain injury resulting from numerous concussions he suffered in the ring. So what was the first thing the media trumpeted as the cause of this tragedy? Here’s a hint, it wasn’t the alcohol, the Xanax, the hydrocodone, a combination thereof, or the numerous chair shots to the back of the head. While a later examination of the case concluded that the repeated brain traumas Benoit had suffered led to a type of dementia that ultimately could have lead to the murder-suicide, the initial accounts of the event caused numerous media reports of steroid use, which led to a federal investigation into steroid abuse in professional wrestling. Not Xanax, not hydrocodone, not alcohol, not combining them, not the head trauma… just steroids. Statistically, the least probable of all the possible causes. This is how the politicians get their traction for a cause: they give it a face. Here’s the most famous and most egregious case. In 2003, Congress was holding hearings on steroids in baseball, a subject to which they devoted more time than the war in Iraq, the economy, healthcare, or why the levees broke in New Orleans during hurricane Katrina, combined. None of it was true. Numerous subsequent scientific evaluations of the facts of the case showed that the Hooton family had a history of depression. The sister had attempted suicide, and the mother was being treated for depression and was on psychotropic drugs. Taylor himself was being treated with the antidepressant Lexipro, a drug highly noted in the medical literature for causing suicidal ideation in adolescent patients. But there was no mention of any of that. In spite of the fact that there had never been reports of suicide from cessation of steroids, Hooton told congress that he knew steroids killed his son and that the example set by professional athletes, who use steroids, sends a dangerous and deadly message to our youth. He went on to parlay that appearance before a teary congress into celebrity status, touring the country and speaking out to kids against steroids. He started the Taylor Hooton Foundation and guilt-tripped the likes of Bud Selig and others to contribute millions of dollars to his anti-steroid crusade, paying himself a handsome salary in the process. It’s been over a decade since Hooton started his foundation. Despite all his speaking engagements, accolades, and fame, steroid use has gone up, suicide among teens prescribed antidepressants remains a threat, and not a single person of any age has committed suicide as a direct result of depression brought on by steroids. Such bogus anti-steroid sentiment is the backbone of why steroids should be legal. The allegations are nothing but inflated hysterics and simply not true. Science is the bottom line, not the emotional fantasy concocted by the alarmists like Hooton and the media, which is more interested in ratings than facts. 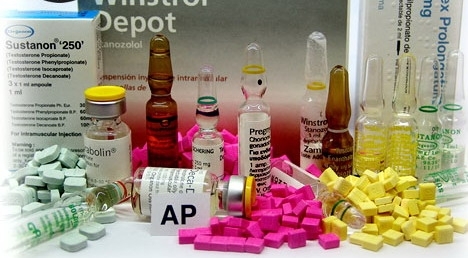 A very simple comparison of steroids against all the other legal vices in America, like alcohol and tobacco, as well as numerous over the counter preparations, indicates that steroids, based on a comparative danger to health, should be legal, at least for adult men in good health and under the watchful eye of a doctor. There is simply no real scientific proof to support anything else. And while it can be said that science does not prove negatives and that any long-term studies using supra-pharmacological doses of gear would be unethical, I’d like to point out a few things science does tell us. The data consistently points out that steroid users are not the typical “drug addicts” on society’s fringe, but rather ordinary, productive people. Rick Collins, the top steroid lawyer in America, and two fellow colleagues – one a doctor, the other a professor of psychology – conducted an anonymous survey of 2,000 male, adult, non-medical steroid users from 81 countries: the largest sample of this population ever surveyed in-depth. The results were published in the peer-reviewed Journal of the International Society of Sports Nutrition. In 2015, a new team of researchers from the Mayo Clinic conducted a similar survey using 231 male respondents, focusing on testosterone, with the findings published in the Mayo Clinic Proceedings. Fifteen years later, the data showed the same people – higher incomes, older, educated, and were more likely to be married – are still using steroids for the same reasons and in the same doses, and exhibited the same responsibility. Few other categories of illicit drug users would monitor their health markers through regular blood work. “When anabolic steroids were classified as controlled substances 25 years ago, the objective of Congress was to crack down on the drugs’ black market and get steroids out of sports. How’d that work out? About like Titanic’s maiden voyage. As in prohibition, legitimacy – doctors and Big Pharma in this case – were driven out, while the black market exploded and doping pervaded sports. So, should steroids be legal? What do you Think? Previous: Am I ready for steroids?